narrow gauge composite sleeping car built at the Port Augusta workshops for the Ghan service. It originally had end platforms, 5x2 berth first class and 3x4 berth second class sleeping compartments, plus a conductors compartment. 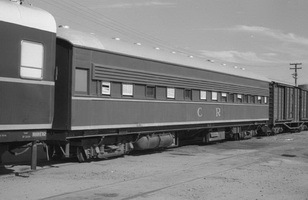 After conversion to "NIA" Officers inspection car, the first class berths were retained and the remainder of the car is disposed of as a kitchen and dining area. 20.7.1929 Entered service as "NRC 36". 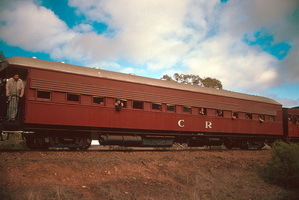 7.1976 In use on the Central Australia Railway. 1979 Made available to Pichi Richi Railway from AN on a permanent loan basis. 1996 Sold to Pichi Richi Railway.